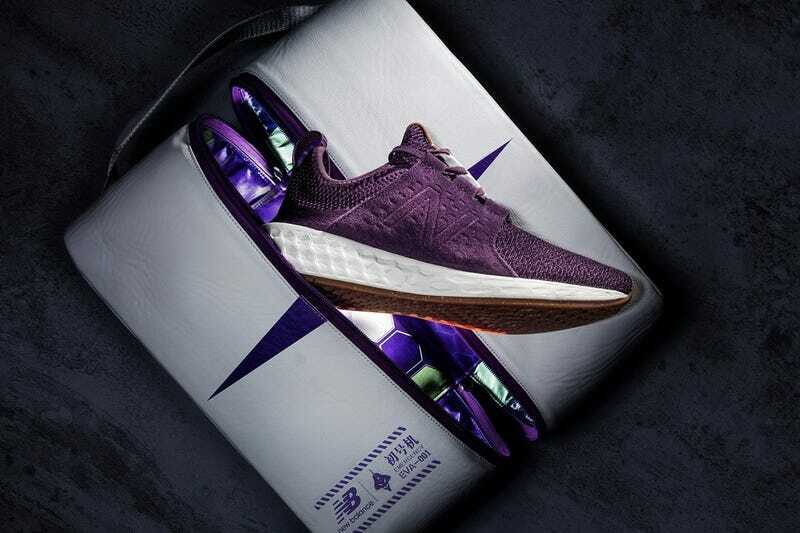 There’s an official Evangelion x New Balance line of sneakers coming out in Japan and China this weekend. There’ll be four colours available, each in a very subtle scheme, while they’ll also come in nice padded zip-up boxes that feature Evangelion imagery. They’ll go on sale for around USD$100. More pics at Hypebeast.